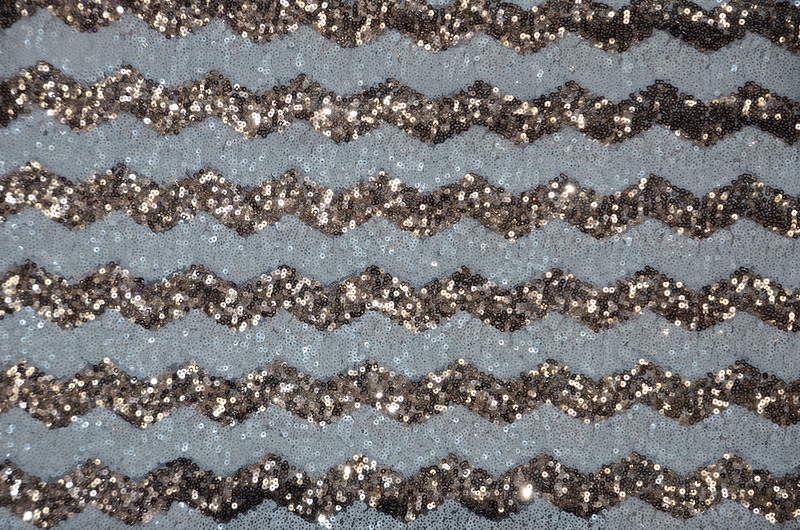 Order the Best Quality Chevron Glitz Sequins Yards available in 5 different colors. Picture Taken: Chevron runs Horizontally on the fabric width. 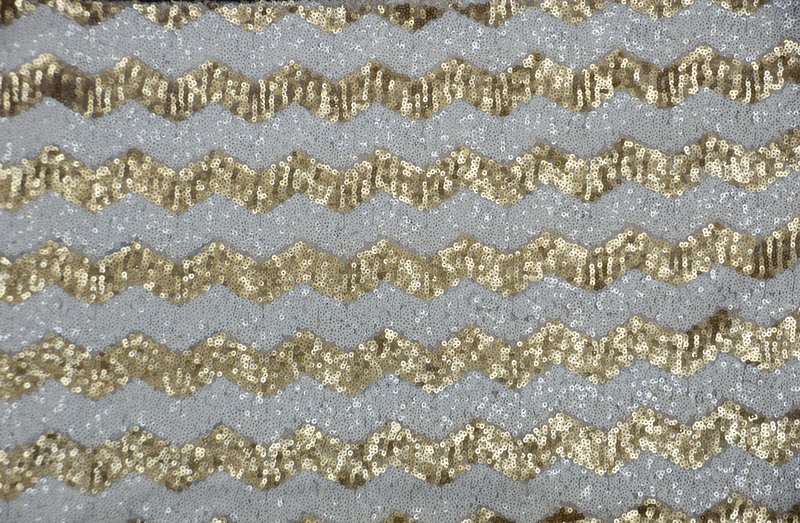 Fabric Description: Chevron Glitz is a very prized and popular fabric for the event and rental industry. 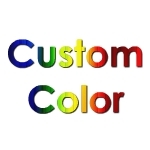 Clothing and Apparel industries also use this fabric for sleeves and blouses. 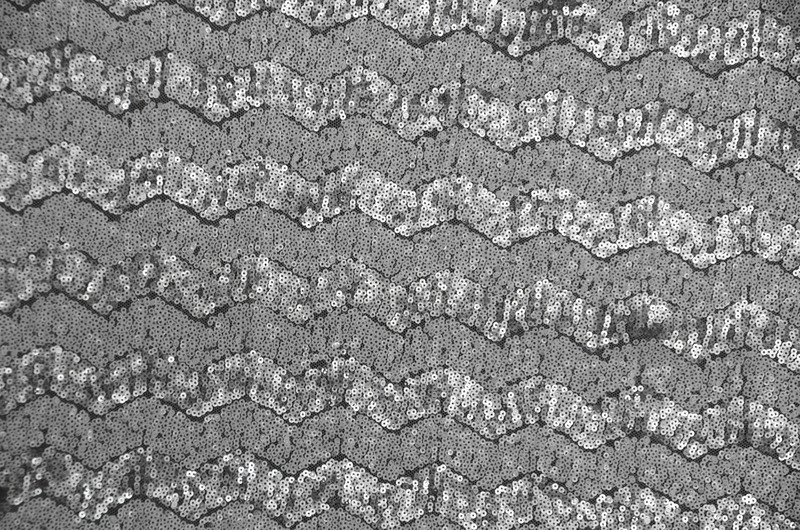 Chevron Glitz is about 1'in width. Is this a Sheer or Solid Fabric? This Fabric is semi-Sheer. Underlay recommended to create a stronger look, Runners do not need Underlay. 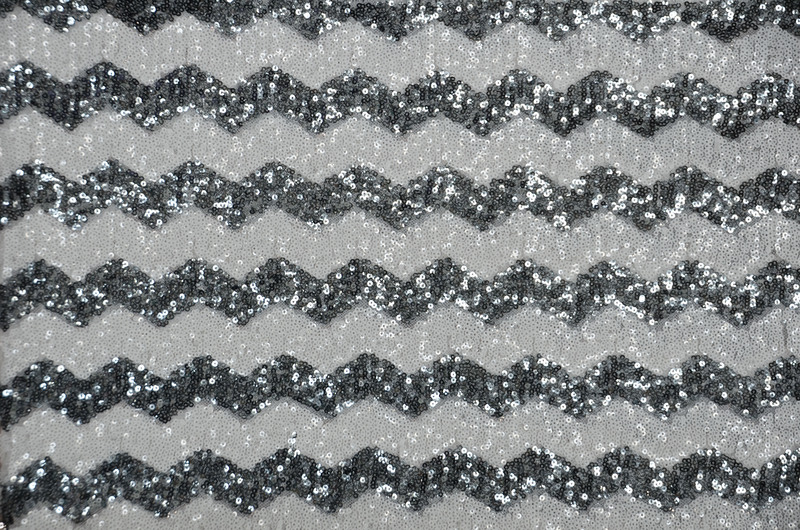 Fabric Weight: Nylon Tulle with Glitz Sequins, great hand feel. We always suggest prewashing the linens before use. The Golden Rule to this suggest when you prewash fabrics, be consistent. For example, either prewash all your fabrics, or do not prewash at all. 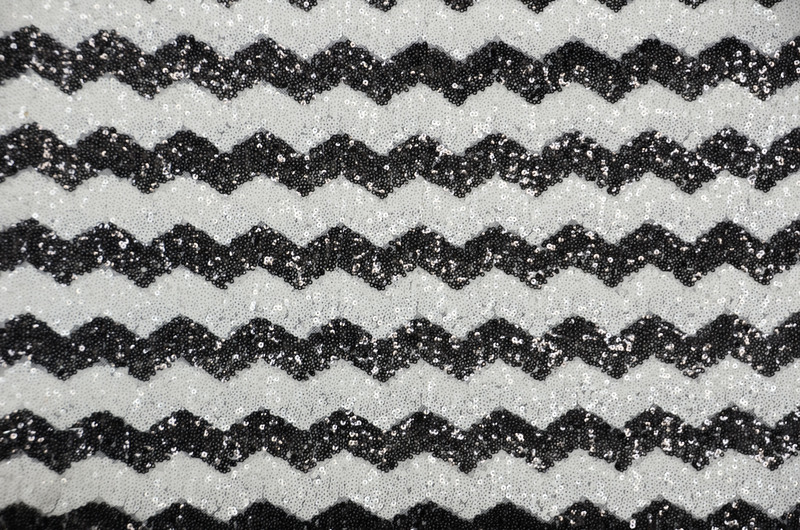 Chevron Glitz Sequins is Dry Clean Only.